Despite the protection of his raincoat this little dog in Menton looks happy to hop up onto the step and out of the rain. 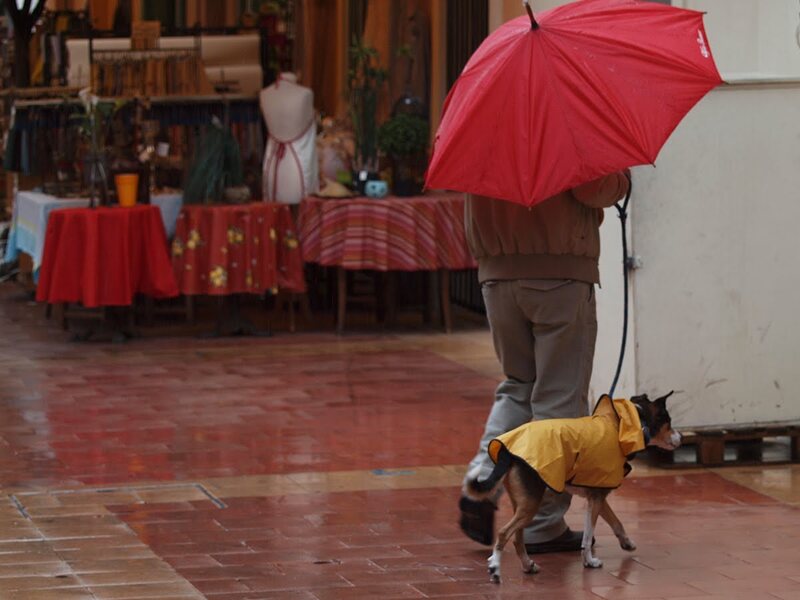 Doggie raincoats? What is next? 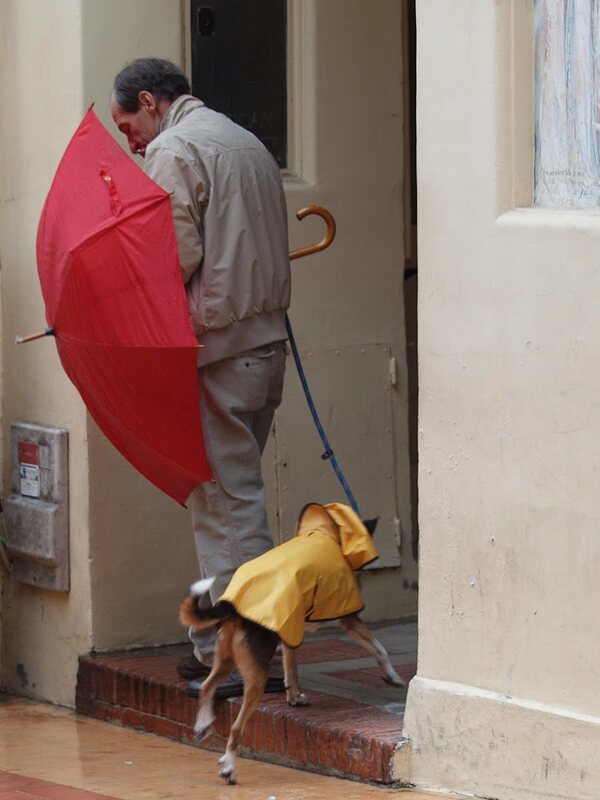 Maybe someone will figure out how to have a doggie umbrella. i imagine when they get inside each little paw will be tenderly dried. What a great shot. How did you keep dry for this one? Glenda,I didn't! Well I had an umbrella and it kept falling down as I was trying to take photo. I need a good thick waterproof rainhat.